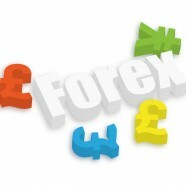 More and more people consider becoming traders in the foreign exchange market. Their enthusiasm will soon be diminished due to information overload and early stage losses. Can this be avoided? Many beginners lack a clear guidance during their critical early stages. It is very easy and highly likely to simply get lost in the ocean of knowledge online, since it is hard to evaluate the quality and relevance of the information presented on the Internet, especially as a beginner. So what does a beginner need? Human interaction. It is crucial to find a successful trader who has been through the same process you are trying to manage and therefore will be able to guide you properly. They will be able to tell you where to look at, what to stay away from and what to focus on. They will give you incredibly important insights that will prevent you from losing your money and more importantly, from losing your faith and motivation. If you are considering becoming a professional trader, I highly recommend you start working for one, by offering them help with general tasks (e.g. : social media activities, administrative work etc.). Only by spending time around a successful trader you will learn faster and far more efficiently how to become one yourself. From personal experience I know how easy it is to get lost online. After reading countless articles and strategies I decided to jump into trading. I felt confident with my knowledge. I lost my starting capital within just a few days. My disappointment made me stay away from the foreign exchange market for quite a while, until I decided to return. I changed my approach and started working as well as learning in a professional investment environment. I found out why I failed and fine-tuned my skills by talking to professionals about it. After spending only a few weeks in this environment, I understood my mistakes and gained a lot more powerful insights. What brought me back on the path of success was the human interaction. If you don’t know anyone in your personal network that could help you on your journey, you have to expand your contacts. While tools such as Facebook, LinkedIn, Google+ and many others help you get and keep in touch with people from all over the world, they do not substitute real human interaction. A great way to start is LinkedIn and forex related groups where traders, analysts, experts and brokers meet. By asking questions, discussing problems and developing strategies, one can take part in this exchange of knowledge and information by providing his pool of experiences and at the same time, learning from the ones of others. Especially for beginners it is a great way to learn quickly and avoid costly mistakes. The more valuable you make yourself for the community, the easier you will get something back from the community – in the form of contacts or information.